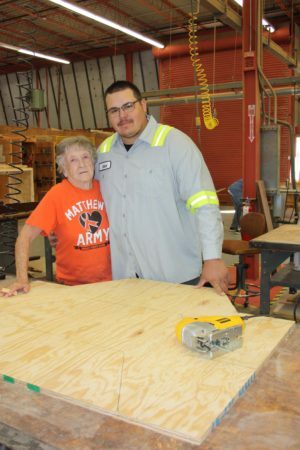 Darlene Dull and her grandson Matt are working on a picnic table. 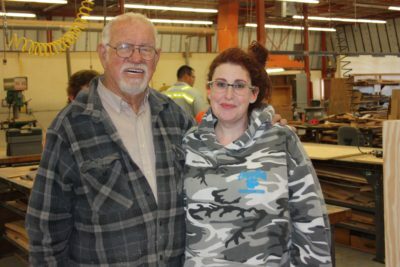 Students at the Central Arizona College Aravaipa Campus were saddened to learn that the cabinetry and auto classes would be cancelled in 2019. 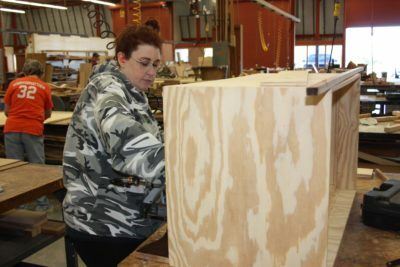 These classes have been full and in the case of the cabinetry/woodworking class, there has often been a waiting list to join the class. The students do pay a tuition fee which includes an instructor and use of the equipment. Students have to provide their own materials for their auto and woodworking projects. 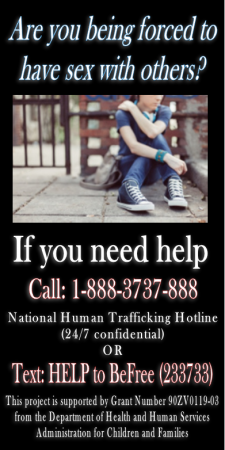 Many of the students have been enrolled in the class for several years. The auto program has recently seen three generations of a family enrolled to work on a classic car together. One of the woodworking students has been working on building cabinets for her home. 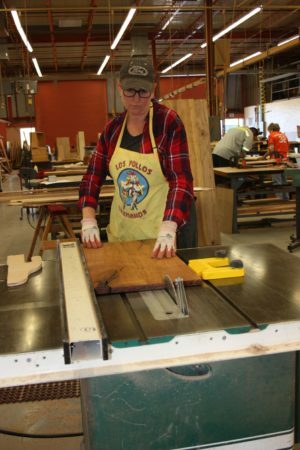 For a few of the students, the cabinetry class has become their place for lifelong learning and camaraderie. Central Arizona College is working to develop signature programs at each of its campuses that serve community needs. With an increase in expressed interest and need, CAC will begin offering a Welding program in Spring 2019 and by Fall 2020, will add a Diesel Technology program. 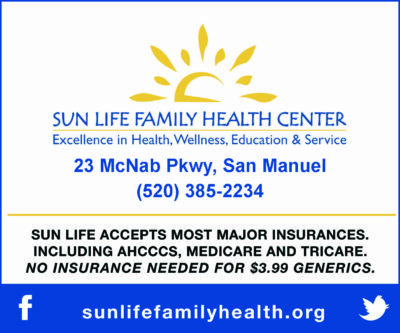 Both programs will be offered fully at the Aravaipa Campus, allowing students to complete the certificate and degree offerings. The addition of these two new programs will allow for some continuation of the existing classes, in some form so students may be allowed to complete projects. Shawn Babb works in the wood shop at CAC Aravaipa. 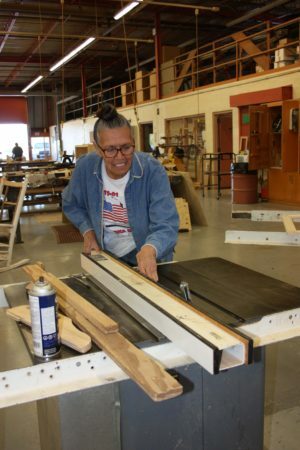 Lucile Gonzales works in the wood shop. Amber Adams is making a hope chest. Instructors Don Hedrick and Amber Adams. 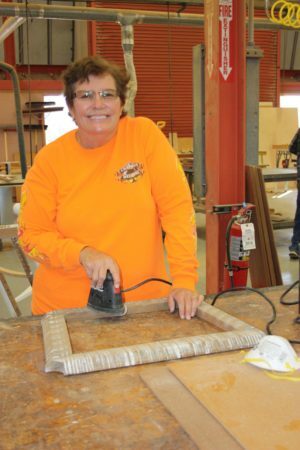 Paula Zovko works with a table saw. 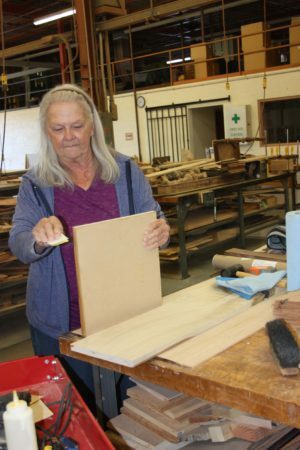 Donna Gennicks works with cedar. 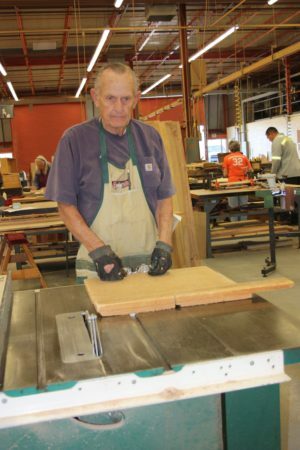 Keith Eagar works in the wood shop.